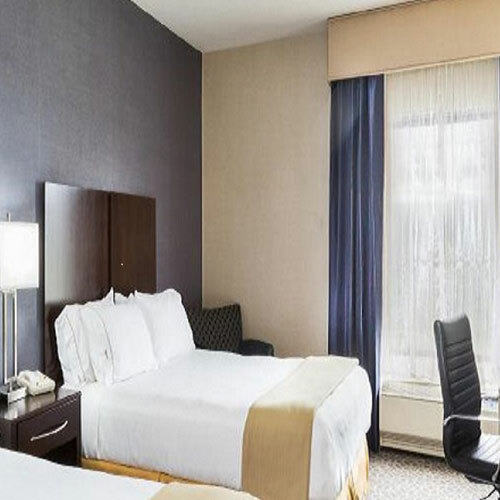 This modern hotel offers rooms with dark furnishings, granite counter tops in bathrooms and brushed nickel freestanding light fixtures throughout. Smoke free premises. 76 units. 3 stories, interior corridors. Accessibility (Call). New Jersey Tpke exit 5, 0.3 mi n. 18 Western Dr 08060.
refrigerators, coffeemakers, wireless Internet, safes. Some: microwaves.